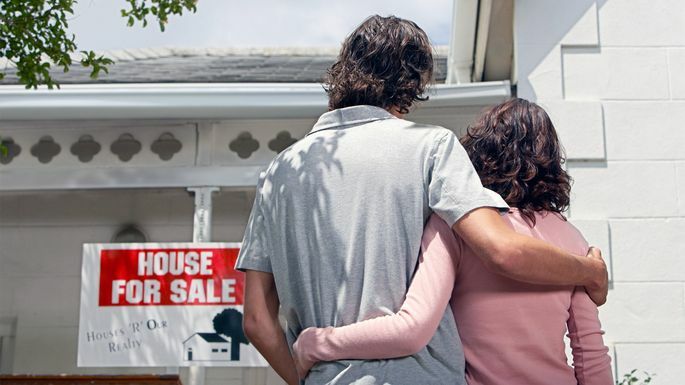 6 Signs That It's Time To Sell Your Home. In fact, it can feel kind of like breaking up with a longtime boyfriend or girlfriend. Deep down, you knew you wouldn't be with that person forever—but ending things can be way easier said than done. Sometimes life changes force the issue: There's little reason for self-doubt or trauma-level angst if you’re relocating to another state or you know your newborn twins won't fit in your one-bedroom bungalow. But without a pressing reason staring you in the face, it can be hard to know when you’ve outgrown your home. “If your property isn't large enough or your municipality doesn't allow it, moving to a bigger home may be your best option,” says Will Featherstone, founder of Featherstone & Co. of Keller Williams Excellence in Baltimore. Giving your kitchen or bathroom a face-lift can make your house feel like new again, which might be all you need to decide you want to stay put for years. But that doesn't mean it's a financially sound decision. Sure, you’re going to make money when you actually sell your house, but as the adage goes, it takes money to make money. So seller beware: You probably won't be sitting around and waiting for the dollars to roll in. Most sellers need to make some minor improvements such as painting, landscaping, or updating flooring to get a good price on their home. Those costs will come out of your pocket at first, so it's a good idea to have a cushion before you start. If you're living in a seller's market, you might be enticed to offload your home before things cool off. But don’t forget—once you sell, you’ll probably be a buyer, too.